He also fronts Channel 4 News' podcast 'Ways to Change the World' which interviews one guest at length each week about the big ideas in their lives and the events that have helped shape their thinking. Since joining the team in 1998 he has fronted big events from the Omagh bombing, 9/11, the Mumbai attacks, to special war reports from Syria, Yemen and Gaza. 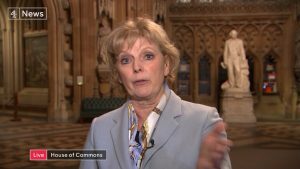 Having covered five British general elections he does special political shows for Channel 4 such as the "Ask the Chancellors" debate. 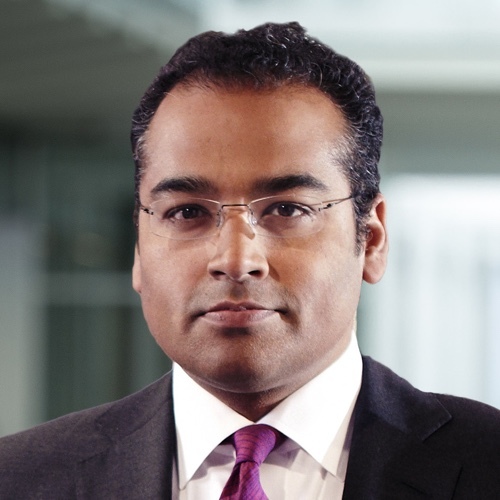 Krishnan reports for the foreign affairs series Unreported World and commentates on major live events for Channel 4 such as the Paralympics Ceremonies. 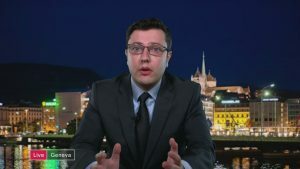 He also anchors controversial programmes outside the news including the first live televised "Autopsy". His TV career began at the age of eighteen presenting youth television for the BBC. 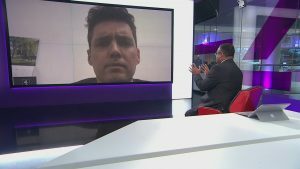 He went on to present, report and produce a variety of programmes from Newsround to Newsnight. 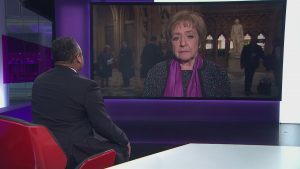 We spoke to the Labour MP Margaret Hodge and began by asking if she’s seen evidence of more alleged meddling by her party’s leadership. 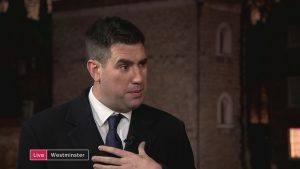 Huw Merriman MP is a Conservative member of the Transport Select Committee. Dmitry Grozoubinski, a former diplomat and trade negotiator at the World Trade Organisation, and Shanker Singham from the Institute of Economic Affairs, whose work is often cited by Brexiteer politicians, discuss tariffs. 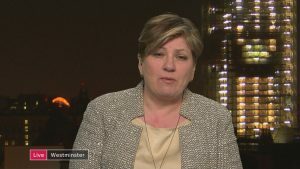 Shadow Foreign Secretary Emily Thornberry discusses Labour’s position on Brexit. 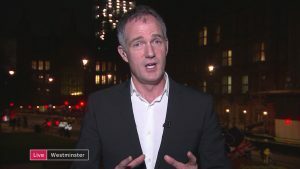 The Labour MP Peter Kyle proposed the amendment which includes a second referendum. 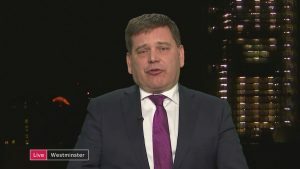 Conservative MP Andrew Bridgen discusses the Brexit negotiations. 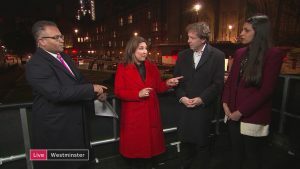 We are joined for a discussion on the implications of the MP resignations by Ayesha Hazarika, a former adviser to Ed Miliband, Times columnist Philip Collins, and Faiza Shaheen, a Labour prospective parliamentary candidate. Labour frontbencher Richard Burgon responds to the resignations of seven MPs. 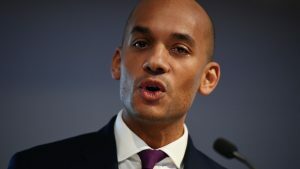 Chuka Umunna and Luciana Berger are two of the breakaway MPs. 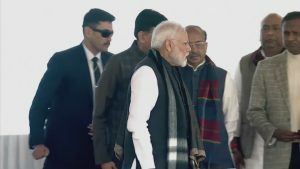 India’s Prime Minister has warned of a “crushing response” to a suicide bombing in Kashmir which killed more than 40 Indian police officers. 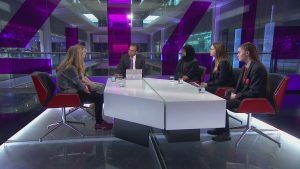 We talk to four young activists, united behind the climate change cause, but with differing views on how to make their voices heard. 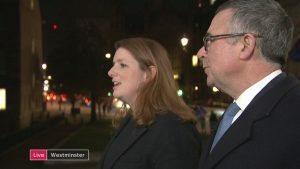 Following Theresa May’s humiliating Commons, Krishnan Guru-Murthy is joined by the Labour MP Alison McGovern who favours having a second referendum and Bernard Jenkin MP – a Tory brexiteer. 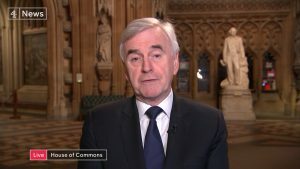 We talk to the Shadow Chancellor about the government’s defeat in the Commons and Labour’s own position on Brexit. 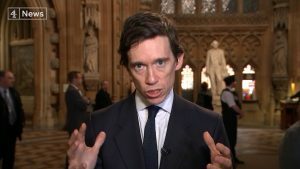 Krishnan Guru-Murthy is joined by the Justice Minister, Rory Stewart, and begins by asking him what Europe will make of Mrs May’s latest defeat in the Commons.